(2012.201.B1213.1034, photo by S. Gooch, Oklahoma Publishing Company Photography Collection, OHS). STOUT, JUANITA LOUISE KIDD (1919–1998). 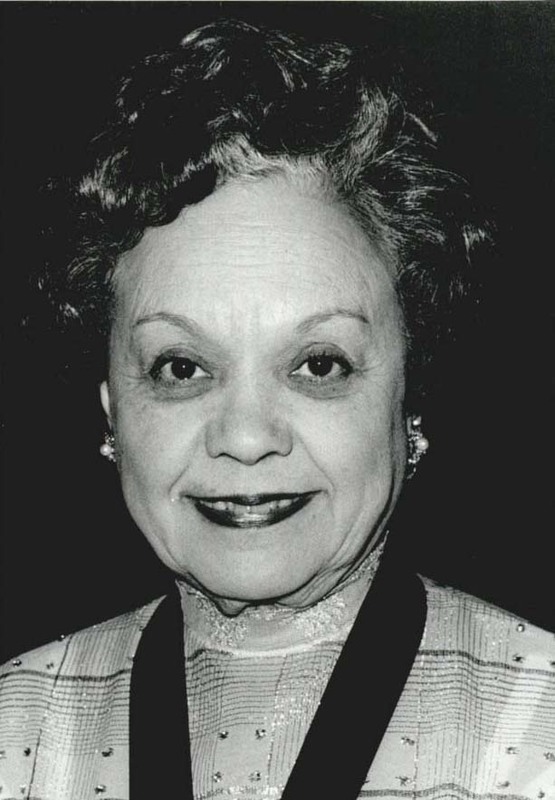 Juanita Kidd Stout has the distinction of being the first African American woman elected judge in the United States and the first African American woman to serve on a state supreme court. Born on March 7, 1919, in Wewoka, Oklahoma, she was the only child of Henry Maynard and Mary Alice Chandler Kidd. Because her mother was a teacher, Juanita Kidd learned to read and play the piano at a very young age. After graduating from Douglass High School in Wewoka, she moved to Jefferson City, Missouri, in order to attend an accredited African American college. She attended Lincoln University, in Jefferson City, for two years. She then transferred to the University of Iowa and earned a bachelor of arts degree in music in 1939. Returning to Oklahoma, she taught music at Seminole and Sand Springs high schools from 1939 to 1942. Juanita Kidd met Charles Otis Stout in Wewoka, and they married on June 23, 1942, in Washington, D.C. While her husband served in the army during World War II, Juanita Stout accepted a secretarial position at the Houston, Houston, Hastie, and Waddy law firm in the capital. There she worked directly with attorney Charles Hamilton Houston, known for his work on desegregation. Already a skilled typist and stenographer, she learned to take legal dictation. Stout enjoyed law and made the decision to become a lawyer. She attended Howard University School of Law in the District of Columbia before attaining two law degrees at Indiana University. She earned a juris doctorate in 1948 and a master of laws in 1954. The Stouts moved to Philadelphia where Juanita Stout practiced law for five years before joining the district attorney's office. She later worked in the Common Pleas Court before being elected a Philadelphia municipal judge in 1959. Stout was reelected in 1969 and 1979. In January 1988 Pennsylvania's governor appointed her to the Pennsylvania Supreme Court. At age seventy she was asked to step down because she had reached the mandatory retirement age. Stout returned to the Common Pleas Court and worked unil her death in 1998. During Pres. John F. Kennedy's administration she was a special ambassador to the Kenya Independence Celebration and served on the White House Conference on Children and Youth. During her lifetime Stout received numerous awards and eleven honorary doctorate degrees. In 1965 the National Association of Women Lawyers named her Outstanding Woman Lawyer of the Year. Her alma mater, the University of Iowa, presented her a Distinguished Service Award in 1974. In 1980 she received the Henry G. Bennett Distinguished Service Award from Oklahoma State University. Stout was inducted into the Oklahoma Hall of Fame in 1981 and the Oklahoma Women's Hall of Fame in 1983. Five years later the National Association of Women Judges named her Justice of the Year. In 2012 the Philadelphia Criminal Justice Center was renamed the Justice Juanita Kidd Stout Center for Criminal Justice. Articles about Juanita Stout's career and accomplishments have appeared in magazines such as Life (1965), Time (1965), Ebony (1989), and Jet (1998). Juanita Stout was a Democrat and an Episcopalian. The Stouts had no children. They had been married forty-six years when her husband passed away in 1988. Juanita K. Stout died from leukemia on August 21, 1998, in Philadelphia. She and her husband are buried in Westwood Cemetery in Wewoka, Oklahoma. Black Chronicle (Oklahoma City), 10 February 1983 and 21 January and 24 March 1988. Daily Oklahoman (Oklahoma City), 30 June 1974 and 22 August 1998. Darlene Clark Hine, ed. Black Women in America, 2d ed., Vol. 3 (New York: Oxford University Press, 2005). New York Times, 24 August 1998. Juanita Kidd Stout Collection, Research Division, Oklahoma Historical Society, Oklahoma City. "Juanita Kidd Stout," Vertical File, Oklahoma Room, Oklahoma Department of Libraries, Oklahoma City. "Juanita Kidd Stout," Vertical File," Research Division, Oklahoma Historical Society, Oklahoma City. Tulsa (Oklahoma) World, 27 August 1998 and 4 February 2007. Linda D. Wilson, "Stout, Juanita Louise Kidd," The Encyclopedia of Oklahoma History and Culture, https://www.okhistory.org/publications/enc/entry.php?entry=ST062.